Create A Party They'll Never Forget With Laser Skirmish. Mobile Laser Tag: We Can Come To You. Or Choose From One Of Our 4 Venues Around SEQ: Mt Crosby, Mt Cotton, Samford or Tamborine. Birthday Parties, Sports Team Celebrations or School Teambuilding Activities - we've gotcha! Planning a birthday party? Plan to throw a fun laser skirmish party in the forest. Got an end of season celebration soon? Throw a fun event so your team with end the season on a high. 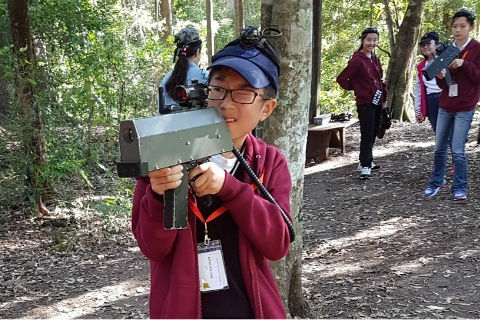 Laser Skirmish is terrific for school groups; be it for a school camp or leadership day, we've got you covered. "We had a great time my son had at his 10th birthday party recently. The afternoon was so well run and the kids had an absolute ball!! There are a lot of kids who are asking their parents to have their parties with you when they got home! I can't thank you enough, it was a memorable party and we would highly recommend your services to anyone who was looking to book a party with you." 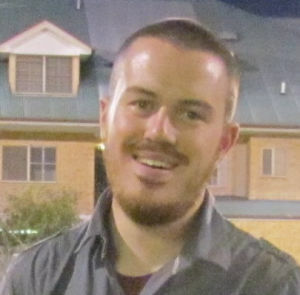 "The staff are amazing. The new technology is incredible and loads of fun. As always big shout out to Plan and his team. As you guys do an amazing job." We've been making kids (& the young at heart) happy for more than a decade in Brisbane & on the Gold Coast. Call to book PH: 1300 666 559 (or 0432058910). We host kids birthday parties or events for kids and their parents or carers. Our games have a fun, high-tech edge. *NEW* This school holidays play Battle Royale LIVE. Laser Skirmish gaming guns have no projectiles, no paint. We can come to you, or have the party one of our venues: Laser Skirmish Mt Cotton; Laser Skirmish Mt Crosby; Laser Skirmish Samford *NEW*; Laser Skirmish Gold Coast Tamborine. Come and party at one of our forest Laser Skirmish venues. Or we can come to you. Or you can even rent the laser skirmish equipment and have the party at your place. This activity is suitable for kids school age & up, and the young at heart. 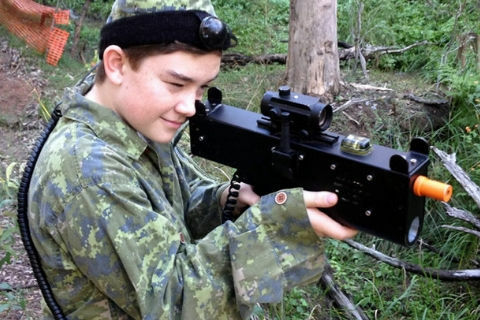 Laser Skirmish is here to help you create a party they'll never forget - it is lots of fun for the entire family. We cater for parties large & small. The team at laser skirmish has been making happy memories for 20 years. It has been a time of blood, sweat & cheers! Here's to another 20 years!! Lots of games and in-game perks. From "Team Elimination" to "Capture the Flag" and in game perks like "Crack Shot". Over 200 combinations! Join 21,330 others who have created awesome Laser Skirmish Parties. Parties big or small. Game in a public session or in a private group. Our laser skirmish equipment works indoors or outdoors, night or day. Very large groups are our speciality. The laser tag kit is made in Australia by Battlefield Sports. Want a Laser Skirmish at Your Place? Prefer to host your party or event at your place? No Problem! Call us for a full-service quote or you can rent the gear and do it yourself. Planning a kids party? Rent from our sister company "Laser Tag in a Box". Planning a party for teens or adults? Then rent from "Battlefield LIVE". Click here to find out more about laser tag rentals. Laser Skirmish is outdoor laser tag. 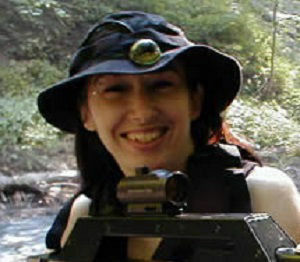 Laser Skirmish played in the forest, bushland or rainforest. It is like a live video game where players form teams and win at the laser tag game by tagging each other and other targets. 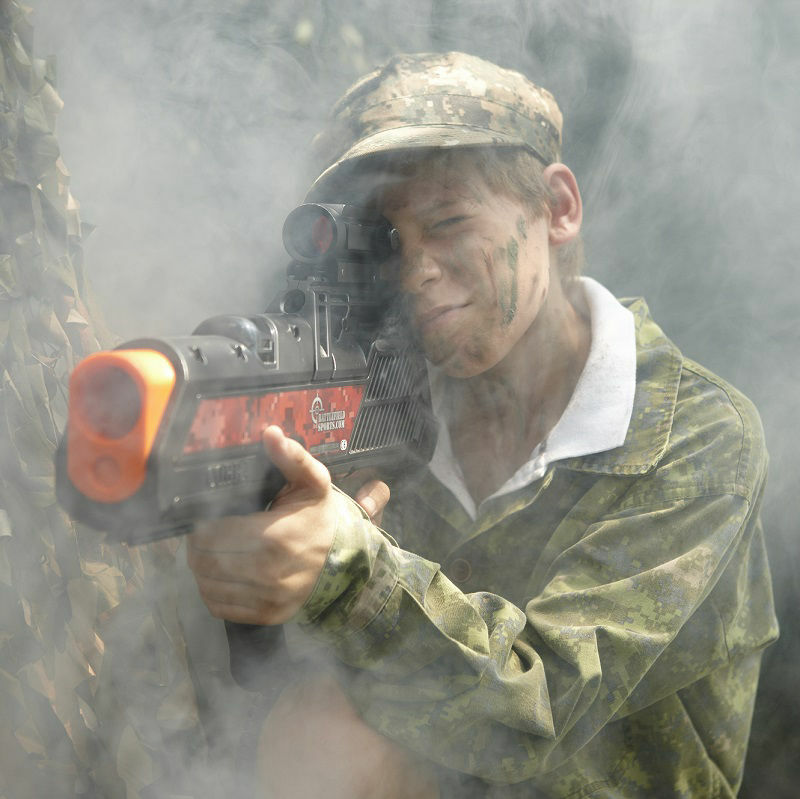 Here are Laser Skirmish we offer 4 venues around South East Queensland. Laser Skirmish Mt Cotton is in the Redlands, near Capalaba. Laser Skirmish Mt Crosby is near Kenmore. 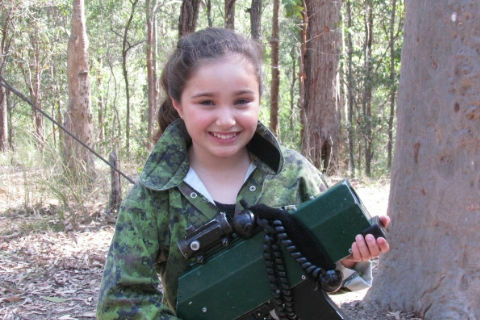 Laser Skirmish at Thunderbird Park is on the Gold Coast in the Tamborine Hinterland. And Laser Skirmish Samford is on the north-side of Brisbane.